Late August or early September is usually the best time to see heather in flower on the moorlands of the Peak District, and this year is no exception. 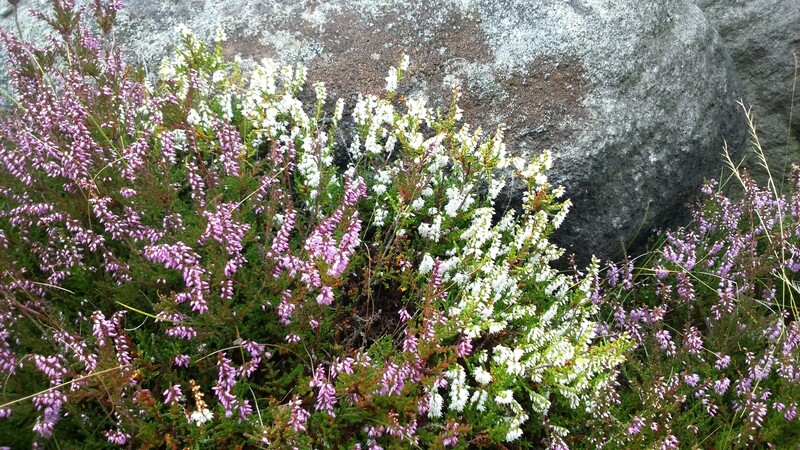 Out of the three types of wild heather in the area, Ling Heather is by far the most common, giving the moorlands the appearance of being carpeted in purple when in full bloom. This year on our guided walks, we have been lucky enough on three separate occasions to see Ling Heather in its rare white form as shown in this photograph. 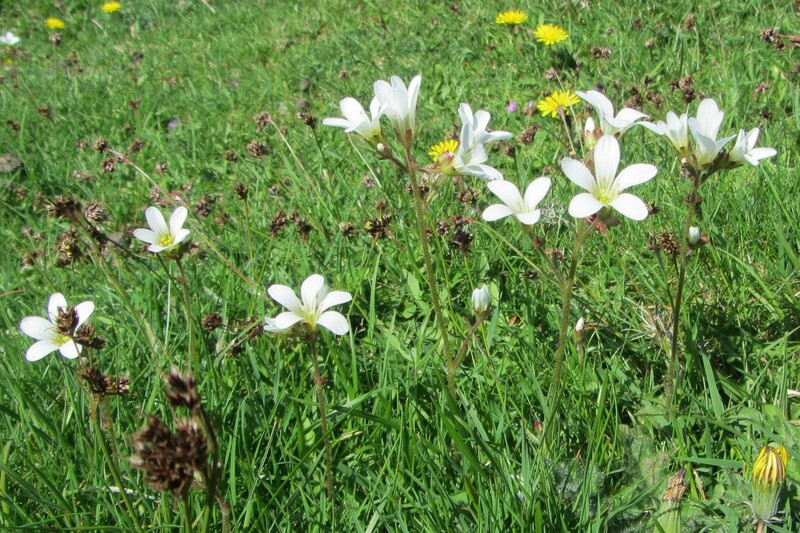 If you’re out walking in the area of the Peak District known as The White Peak at this time of year (May/June) look out for the pretty white flowers of Meadow Saxifrage. 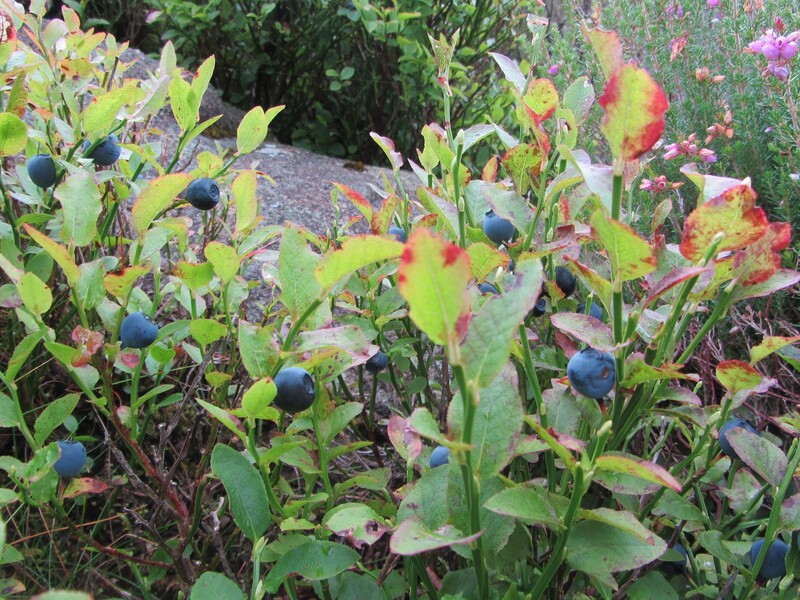 This plant loves the dry limestone soils of the area and can be seen growing in many of the limestone dales and on the slopes of the surrounding hills. These photos were taken near Winnats Pass, Castleton. 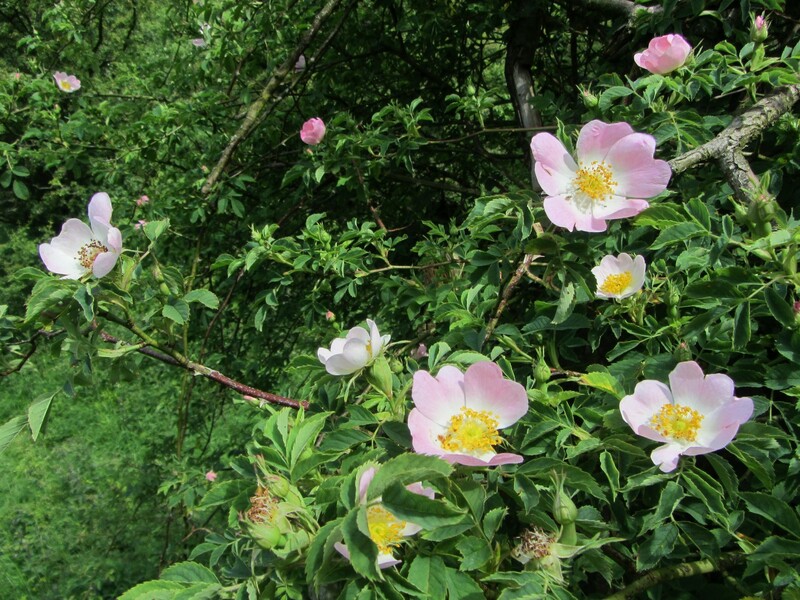 June and July are a great time for seeing wild roses whilst out walking. These climbing plants can grow up to 5 metres in height and are a common site growing in hedgerows and alongside country lanes and paths. The wild rose is England’s national flower. They are usually pale pink but can also be white. The most common variety is the Dog Rose, but you may also see Field Roses or Sweet Briar all of which have a similar appearance. The petals have a delicate scent can be scattered on salads, used to make wine, or added to jams and other dishes to add flavour. The rose hips that appear later in the year are high in vitamin C and can be used to make syrup, tea and jam. I took this photo yesterday up the hillside out of Dovedale in the Peak District. The White Peak area of the Peak District is fully of beautiful wild flowers at present. Meadow Saxifrage is just one of many different types of plants that love the limestone soils of this area. It’s Latin name is Saxifraga granulata and that is linked to its use in years gone by as a medicinal plant. Granulata means ‘with grain’, while Saxifraga means ‘rock-breaker’. Going back in history, it was believed that it had the power to break up gall stones and kidney stones.